What to look for when making angel investments? Here, I’ll try to share some of the things I had to learn the hard way so that for whoever wishes to enter into angel investor, there’s some work cut out for them. Valuation – I am ok with high valuation but it has to have some sort of support to it. Management team – Some people insist of having the management team having successfully exited at least 1-2 startups. For me, I don’t have much of this restriction – as long as they aren’t straight off from college / business school. The key here is to stick with the rules you set for yourself here. There would be occasions where you see investment opportunities which meets 4 or 5 out of 6 of the criteria, and you are really debating whether to break the rule just this once or not. (And don’t kid yourself, it happens more often than you think!). Rule of thumb is – never break / twist rules you set for yourself to meet one investment opportunity. Better ones will always present themselves further down the line. There are a couple of terminologies used which you would frequently see: Capital raise, pre-money and post-money valuation. You would constantly see a company quoting a pre-money valuation in any given round as a basis, simply because pre-money valuation would stay the same while you continue to build up the amount you are raising, and to prevent re-calculation / re-drafting of termsheets if you quote a post-money valuation. There are two ways one could invest in a startup – Straight equity or convertible note. From many perspectives there are lots of differences, which I’ll try to layout a few. Equity cap: Different styles of convertible notes would call them slightly differently, but essentially this is the maximum pre-money valuation of your particular conversion, whereas the Series A priced round could be converting at the same time at a higher pre-money valuation. This matters particularly when you expect the Series A pre-money valuation is significantly ABOVE than the equity cap quoted here. Discount rate: In case the Series A pre-money valuation is BELOW equity cap amount stated, then the pre-money valuation for the convertible note holder would be the pre-money stated by the Series A lead investor, less the discount rate stated here. Timing and legal issues: Drafting a convertible note purchase agreement is very fast, usually taking a few hours based on set templates. An SPA, however, could take days for the company attorney to draft, and another few days for investors to review and comment. If more than one investor(s) have edits on SPA, that could go on for much longer, and adding to due diligence period, an equity round takes months from termsheet to closing. Valuation: Placing a pre-money valuation at such early stage could be difficult. If too high then there isn’t enough risk-reward benefit for angel investors; too low then the founders risk selling too much at early stage. The convertible note is a “time buffer” which allows both parties to leave the valuation issue to the Series A lead investor, after proper due diligence and analysis. Hopefully after the above, you’re equipped with the basics to understand how to do angel investments! Posted on September 30, 2013, in Angel investments and tagged angel investments, Angel investor, Convertible bond, Investment, Post-money valuation, pre-money valuation, Right of first refusal, Series A round, valuation. Bookmark the permalink. 9 Comments. this topic to be actually something which I think I would never understand. 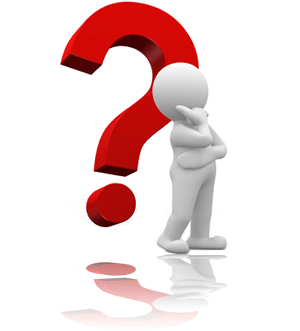 question very soon it will be renowned, due to its quality contents. are a team of volunteers and starting a new project in a community in the same niche. inexperienced blog writers? I’d certainly appreciate it. Hi there! I’m at work browsing your blog from my new iphone 4!